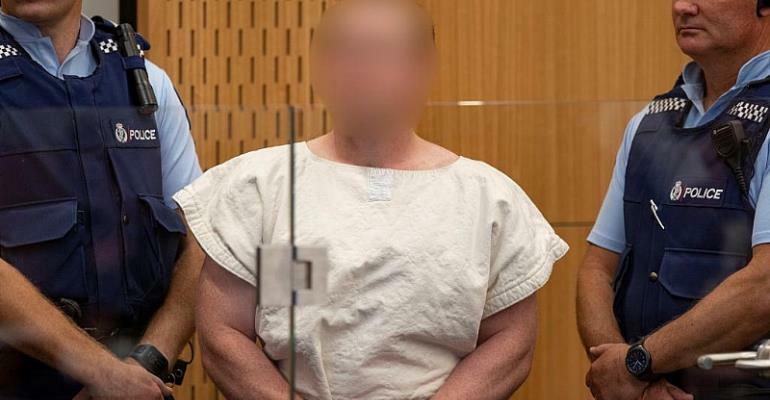 Australian man Brenton Tarrant has been charged with murder following Friday's Christchurch mosque shootings, as New Zealand Prime Minister Jacinda Ardern promised changes to the country's gun laws. Tarrant, a 28-year-old licenced gun owner, did not enter a plea as he appeared in court on Saturday. A single murder charge was filed against him, with further charges expected to follow. Forty-nine people were killed and dozens more wounded in the mass shootings at two mosques. Five weapons were used, including two semi-automatic weapons. A further two suspects are in police custody, as authorities look to determine if they played a role in the attacks, which have been described as the worst peacetime mass killing in New Zealand's history. None of those arrested has a criminal history in New Zealand or Australia. At press conference on Saturday , Ardern said she would look at banning semi-automatic firearms. The government has raised the country's security threat to the highest level. Tarrant, who cited France as an inspiration for the attack, is due reappear in court on 5 April.